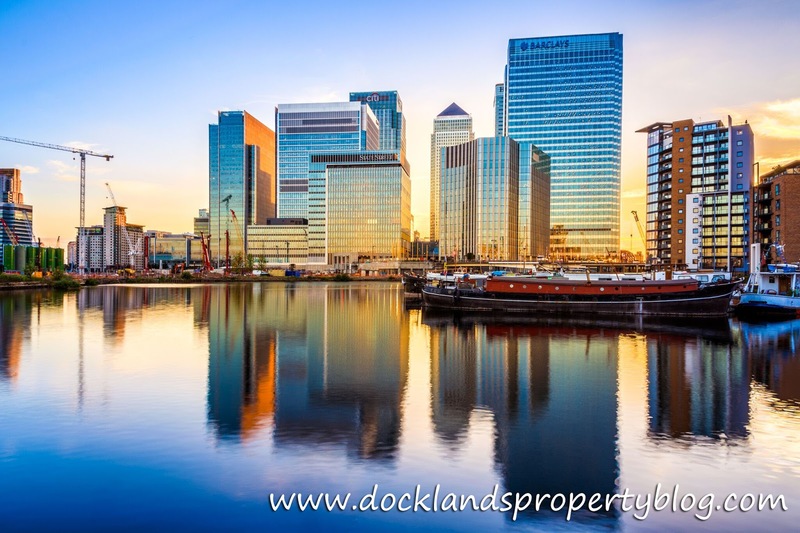 What Has Happened to the Docklands Property Market Since the Last Property Market Crash? A handful of Docklands landlords and homeowners have been asking me what would happen if we had another property crash like we did in 2008/9? The UK property crash in 2008/9 caused property prices in the UK to drop by an average of 18.37% in a period of 16 months. On the run up to the Parliamentary vote on Brexit scheduled for March, a number of people asked what a no-deal Brexit would do to the property market and if there would be a crash as a result. I have discussed in a previous article on the chances of that (slim but always a possibility) … but assuming it happens, it is my opinion the outcome of a no-deal Brexit would be no worse than the country’s 2008/9 credit crunch property crash, the late 1988 property crash, the 1974 property crash, 1951 property crash … I could go on. The British economy would bounce back from the shock of a no-deal Brexit with lower property values and a continued low interest rate environment (together with an additional round of Quantitative Easing) and that would mean we would see a similar bounce back as savvy buyers saw it as a fantastic buying opportunity. Many said after the Brexit vote in June 2016, we were due a property crash - but we all know what happened afterwards. Initially, let’s see what would happen if we did have a crash, how quickly it would bounce back and then finally discuss how the chances of a crash are actually quite minimal. Therefore, to start, I have initially split down the types of property in Docklands (Det/Semi etc.) and in the red column put the average value of that Docklands property type in 2009. Next in the orange column what those average values are today in 2019. Now, assuming we had a property crash like we did in 2008, when average property values dropped nationally by 18.37%, I applied a similar drop to the current 2019 Docklands figures (i.e. the green column) to see what would happen to property values by the middle 2020 (because the last crash only took 13/14 months). …and finally, what would subsequently happen to those same property prices if we had a repeat of the 2009 to 2014 property market bounce back. Of course, these are all assumptions and we can’t factor in such things as China going pop on all its debt ... yet either way, the chance of such a crash coming from internal UK factors are much slimmer than in another of the four property crashes we have experienced in the last 80 years. Why, you might ask? 1. The new Bank of England mortgage rules on lending 2014 to stop reckless lending that fuelled that last crash. 3. Low mortgage rates (the average Brit’s fixed rate mortgage is currently 2.26% and the variable rate mortgage of 3.07%). 4. Wage rises are forecast to continue to outgrow inflation. 5. Unemployment figures dropping to 4% (down from 8.4% in 2011). 6. The high percentage (67.7%) of all British mortgages being on a fixed rate. 7. And notwithstanding the distractions of Brexit over the last few years, it cannot be denied that the British economy has slowly and steadily been heading in the right direction for a number of years, built on some decent foundations of a steady housing market (unlike the 1988 and 2008 crashes when the housing market got overheated very quickly on the run up to the crashes). So as the circumstances are much different to the last two crashes, the chances of a crash are much slimmer. Yet if we do have a crash, for the very same 7 reasons above why the chances of a crash are unlikely, those 7 reasons would definitely contribute to making the ensuing recession neither too long nor substantial in scale. One final thought for the homeowners of Docklands. Most people when they move home, move up market, meaning in a decreasing market you will actually be the winner, as a 10% drop on yours would be much smaller in £notes than a 10% drop on a bigger property ... think about it. Many other Docklands landlords, who are with us and many who are with other Docklands letting agents, all like to pop in for a coffee, pick up the phone or email us to discuss the Docklands property market, how Docklands compares with its closest rivals (Bow, Stratford and Barking) and hopefully answer the three questions above. I don’t bite, I don’t do hard sell, I will just give you my honest and straight-talking opinion. I look forward to hearing from you.